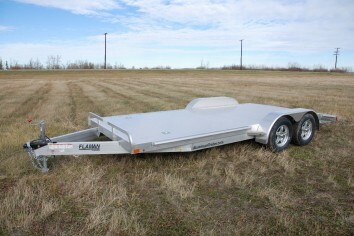 We offer tilt deck trailers in both steel and aluminum configurations. From a multi-deck to lowboy car haulers, we've got any tilting system whether it is hydraulic/electric, or a combination of the two, to get whatever equipment you've got loaded. The tilting deck allows for smooth transition from the ground to the deck for those hard to load items. No heavy ramps to move or fight with, just unlatch, tilt, load and tie down. Increase efficiency by saving time and make the process of loading and unloading safer for the operator. "Full-Tilt Deck means that the whole deck tilts when you are loading or unloading your equipment. These are great if you have a tractor with just one attachment or a scissor lift. Having the whole deck tilt allows you to drive your equipment on and off safely. 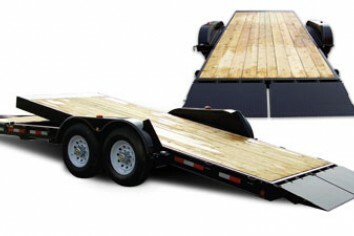 Industrial Tilt Deck is a tilt bed trailer with a stationary platform at the front. This is a really nice feature if you are hauling a piece of equipment that has multiple attachments. 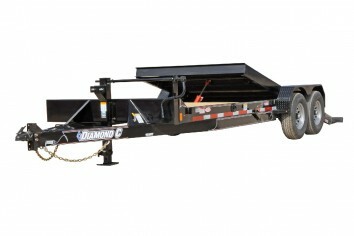 It allows you to put your second piece on the stationary deck and still be able to unload your trailer. These stationary decks are offered in different lengths, which may allow for a second machine up front. 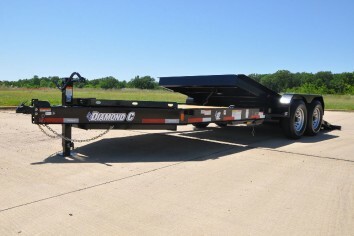 The possibilities really go a long way with this type of versatile trailer. Multi-Deck. One Trailer with Endless Possibilities The Trailtech MD270 MultiDeck trailer is pure innovation in design with the end user in mind. With the trailers ability to transform from a lowboy trailer to a highboy deck above trailer, never again will you have the wrong trailer for the job. In addition to this MultiDeck innovation, the trailer has a tilting deck function, which allows the end user to load equipment at either deck heights without the manual labor of moving and storing load ramps. These combined features coupled with the hydraulic cushion make loading equipment a one-man job, eliminating the need for different trailers for different applications, and added manpower."